This enchanting scepter is tipped with a miniature America Pageant crown. 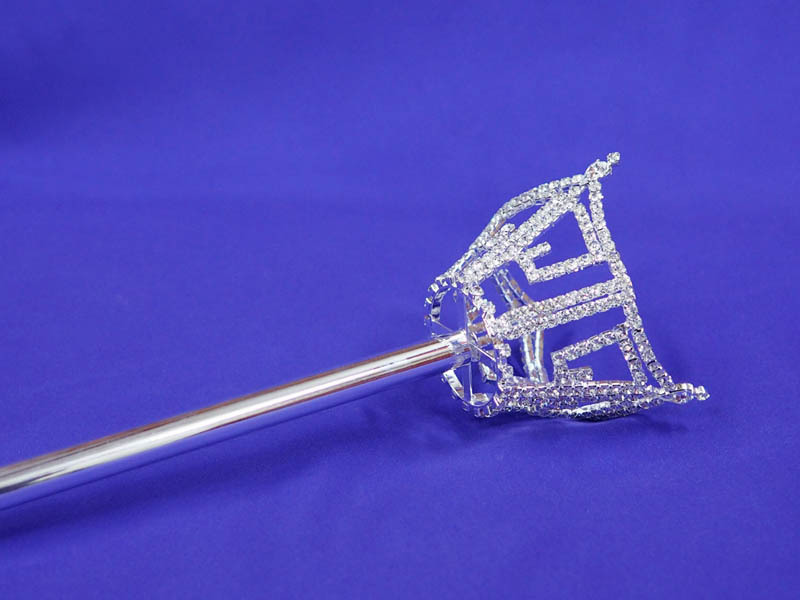 Made of brilliant Austrian Crystal and in a bright silver finish, it is our largest and most popular scepter! Part of our America Pageant Set.